Last year, some of my awesome food blogging friends put together the Food Media Forum, "the first ever food media conference to be held in St. Louis." The conference is returning bigger and better this summer. This year's conference features keynote speakers Aki and Alex from Ideas in Food. The schedule includes sessions on restaurant reviewing, recipe writing, blog design, photography & video, using social media, and marketing & branding. Since the conference is being held at a culinary school, there will be hands-on plating & style, knife skills, and photography sessions as well. 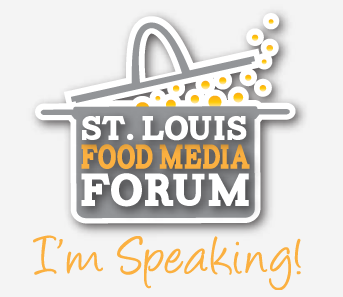 The Forum is being held August 9-11 at The Culinary Institute of St. Louis at Hickey College. Special early bird pricing runs through the end of the month. You can purchase tickets online.